The Sunshine State is the ultimate place to be when it comes to kid-friendly beaches. Our favorite family beaches in Florida offer everything you and your children need to relax: soft, white sand; calm waters; restrooms; playgrounds; and nearby activities. 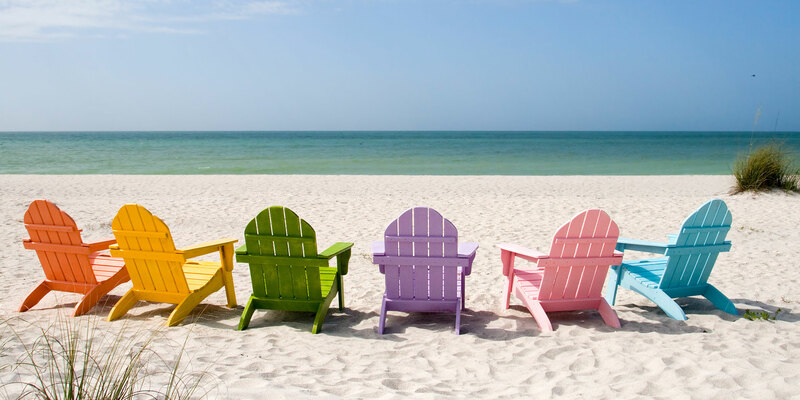 Whether you have the pleasure of being a Floridian and are just looking for a few days at the beach, or you’re looking to plan a Florida family beach vacation, consider our picks for the best family beaches in Florida. Named one of the 10 Best Beaches for Families in 2014, Siesta Key Beach in Sarasota beckons families to build sandcastles, scour the sand for seashells and frolic in the calm Gulf waters. The barrier-island beach offers a playground, volleyball and tennis courts; lifeguards are posted year-round, too. For families seeking a little more than relaxation in the sand, Fort De Soto Park in St. Petersburg is ideal. Listed as one of our Best Beaches for Families in 2015, this 7-mile beach offers kayaking, snorkeling, hiking and biking -- families will not be bored here! Restrooms, a concession stand and a playground are nice when you need a break. Lifeguards are also on duty in the summer months. Situated in America's oldest town, St. Augustine offers history with its sand. Not far from the Atlantic are cobblestone streets filled with shops and restaurants. Families can bike or stroll the white sand or attempt some body surfing in the ocean waves. Bathrooms are convenient here, and there are restaurants not far from the beach. Listed as one of our 10 Best Beaches for Families in 2014, Deerfield Beach is situated less than 30 minutes from Fort Lauderdale and less than 15 minutes from Boca Raton. Surfers and teens will love the waves at this beach, but the younger kids will enjoy the oversized boulders in the sand that offer shade and privacy on the beach (and are an ideal spot for toddler beach naps). Several restaurants and shops are situated near the sand, as well as on the beach's boardwalk. Located south of Clearwater, Sand Key offers both a beach and a park. Birds are easy to spot here, so be on the lookout for heron and owls. You're also likely to spot sea turtles at Sand Key Park! In fact, sea turtles nest eggs here annually and the Clearwater Aquarium situated nearby helps with keeping the turtle nests safe. The park area offers a playground, picnic area and a dog park. Restrooms, concessions and outdoor showers can also be found here. Among Family Vacation Critic's 10 Best Beaches for Families in 2015, Manatee County Beach is situated on Anna Maria Island on the Gulf of Mexico. Water sports and beach gear rentals can be found at this beach, and younger kids will love the calmer waters. Public restrooms, showers and changing stations are conveniently located steps away from the sand, and there are ample hotels and vacation rentals for families to choose from, making it one of Florida's best beaches. Families will find "Old Florida" in this barrier island beach town on the Atlantic Ocean coast. There are 13 miles of sand and ocean to enjoy, along with plenty of shops and restaurants. Save room for some ice cream, too! The historic sites, horseback riding, fishing and kayaking are fun for families visiting Fernandina Beach. Located along the inter-coastal waters of the Jupiter Inlet, this beach features calm waters that are perfect for young kids. There is parking and a boat ramp for those seeking to get out on the water. The kids can go snorkeling, kayaking or fishing here, and there is a playground area set back from the sand. Families will find a picnic area with grills, restrooms and showers at Dubois Park. Dogs are welcome, too! For families who are looking to get away and unplug, Captiva Beach is the answer. It was among our Best Beaches for Families in 2016, and continues to reign at the top of Florida's best. Collecting shells is taken seriously here, so make sure to bring your bucket. Conch shells and sand dollars are among the favorites you'll find. 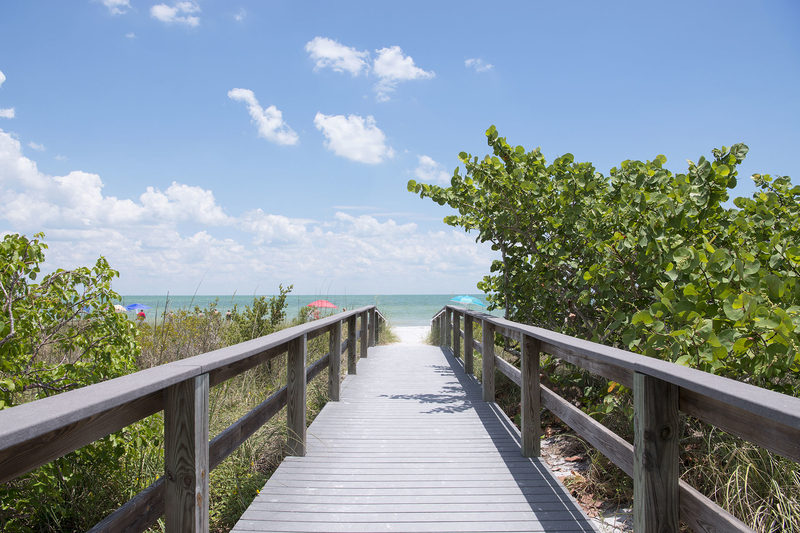 Public restrooms and showers are convenient for families visiting Captiva Beach. Located on Florida's Space Coast, Cocoa Beach is about an hour east of Orlando and is considered the closest beach to Disney World. It's perfect when you need a break from the theme parks! Parasailing, kayak tours and airboat rides are fun for families visiting this Florida beach.